Tsavusoglu: "Trump told Erdogan he will give the F-35"
Ankara hopes there will be no problem with the delivery of the F-35 fighters. Pentagon’s report has made reference to the dangers of the coexistence of US-built fighters with the Russian-made S-400 anti-aircraft system that Turkey will take in 11 months. Turkish Foreign Minister Mevlut Cavusoglu, after the meeting of NATO Foreign Minister, said that this issue was the subject of Erdogan’s talk with Trump in the G-20 summit last week. The subject was brought up by Trump himself. He asked: “Is there a problem? We want to give them to you. 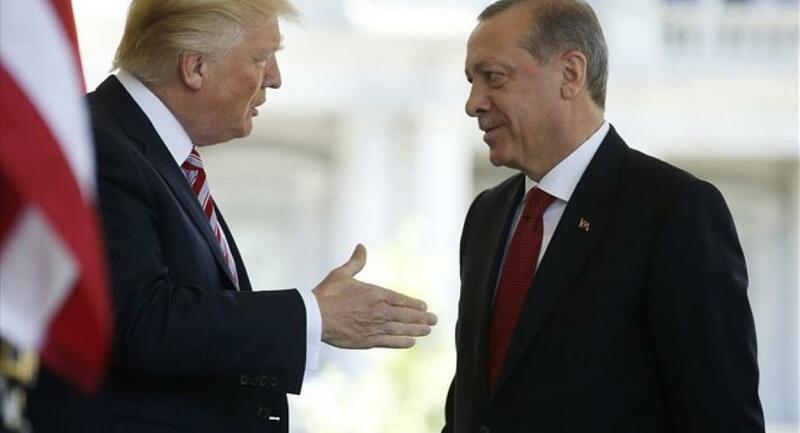 We do not want to have a problem, because Turkey is not a country buying fighters, but it is also one of their manufacturers and one of the major partners of the program” Trump himself said, according to Tsavousoglou.